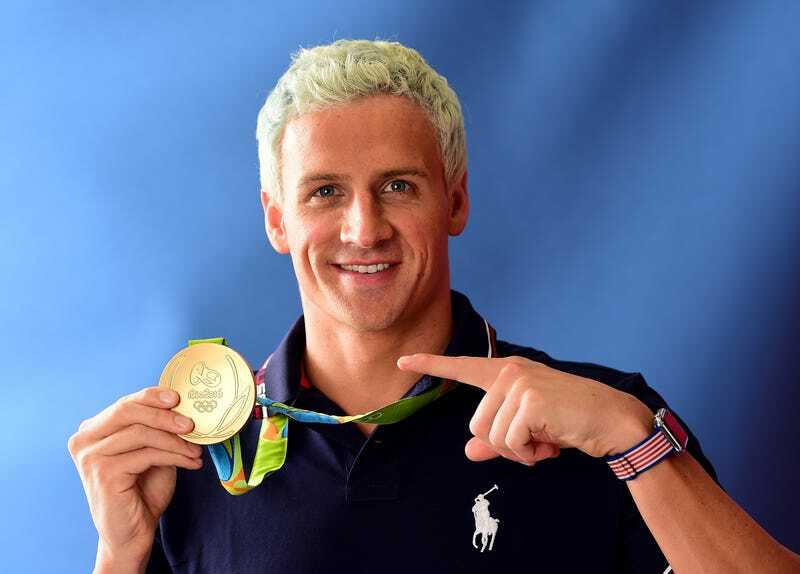 Ryan Lochte is a dumbass. Let's get that out of the way first. From the dyed-gray hair to the stupid look that he constantly wears on his face, it's no wonder he came up with some fake story about being robbed in Rio de Janeiro, along with his band of merry swimmers. But let's dissect this for a few minutes. Here you have a group of white swimmers in a predominantly Afro-Latino country that is unfortunately known for its violence stating that they were robbed at gunpoint. Everyone rallied behind poor Lochte and the other swimmers. Even Lochte's mother was like, "My boy got robbed!" Everyone was buying the story. Everyone except the U.S Olympic Committee. One has to wonder why it didn't believe the story. Was the USOC tipped off? Why would it say the story wasn't true? No one wanted to believe that Lochte, his mother and teammates were lying. Of course it made sense to lie about being robbed in a black country, when all along they were the ones causing a ruckus at a gas station. As it turns out, Lochte and his teammates were at a Rio gas station, and one of them got locked in a bathroom. To get the teammate out, they broke down the door. And then they got into an altercation with a gas station security guard. Reports also say that the swimmers urinated on the walls of the gas station. They eventually paid for the damage with cash. Then concocted a robbery story and headed back to the Olympic Village, with their wallets and items in hand that they said had been stolen. This is white privilege's version of patriotism. Brazilian officials attempted to confiscate Lochte's passport, but he had already hightailed it out of the country, leaving his teammates behind. And those teammates eventually fessed up to lying. I'm sure the thought of having to sit in a Brazilian jail for six months for filing a false police report isn't sitting well with them. So what will happen with Lochte? I'm guessing nothing. Lochte seems more concerned about his hair than explaining why he lied. What I find interesting is that the International Olympic Committee is now brushing off the lie. Yeah, life goes on only if you're white. Imagine if Usain Bolt or another popular black athlete lied about being robbed. He would have been dragged across the coals.